When the greedy owner of a Las Vegas movie catering company tries to muscle in on a local, family-owned business in Honolulu, it leaves a very bad taste in the mouths of the natives, and the battle for paradise begins for Joseph, a young Hawaiian chef. As far as Joseph's father Sid is concerned, this is an invasion on par with Captain Cook and the mainlanders have to be stopped at all costs. As Joseph defends his family he encounters a TV producer rebounding from a bad breakup and suffering from an unrelenting chemically induced erection, the producer's androgynous New Age-y assistant, and a trash-talking lap-dance-addicted stroke survivor. Adding to this frenetic luau is Joseph's old-school Polynesian uncle, his bodybuilder cousin, and his politically correct, retro-Hawaiian girlfriend. With the lines drawn and the locals breathing fire down their necks, the Sin City boys decide to enlist the services of an ecstasy-popping ex-Marine hit man. Then things go horribly wrong-or, depending on how you look at it, just right. 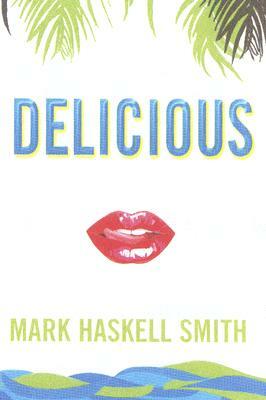 Mark Haskell Smith's "Delicious" is an uproarious, delectably dark mystery that offers a take on Hawaii that definitely hasn't been endorsed by the tourist bureau. Mark Haskell Smith is the author of five novels, "Moist, Delicious, Salty, Baked, " and "Raw," and the non-fiction "Heart of Dankness: Underground Botanists, Outlaw Farmers, and the Race for the Cannabis Cup." His work has also appeared in the "Los Angeles Times," Vulture, "National Post," and the "Los Angeles Review of Books." Smith is an award-winning screenwriter and assistant professor in the MFA program for Writing and Writing for the Performing Arts at the University of California, Riverside, Palm Desert Graduate Center. He lives in Los Angeles. He likes Mexican food.